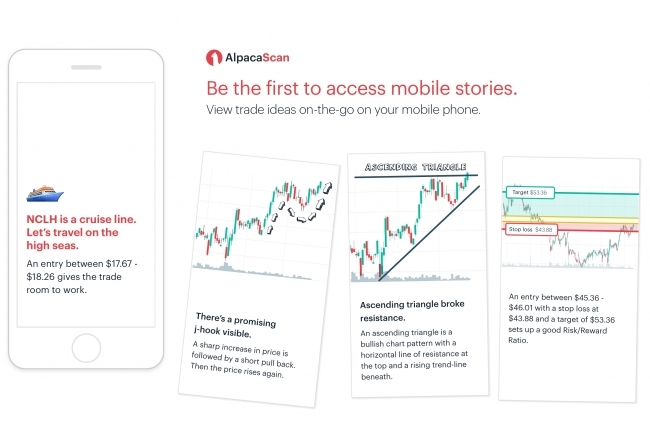 Alpaca, a San Mateo-based Fintech startup building AI and database technology for financial trading, announced today the closing of a $1,750,000 venture round. Round participants include D4V, a joint-venture fund by IDEO and Genuine Startups, Monex Ventures of Monex Group, the parent company of TradeStation, MUCAP of Mitsubishi UFJ Financial Group, Eric Di Benedetto, a leading AI and Fintech angel investor, in addition to existing and angel investors. These funds will be used to accelerate the development of AlpacaScan, a platform that helps casual traders discover trade ideas. Since Alpaca’s debut of AlpacaAlgo in March 2016, the company’s AI and deep learning technology has caught the attention of industry experts, being featured in CBInsights’ “41 Startups Bringing AI To Fintech,” Forbes Japan, Bloomberg, and Nikkei Newspaper. AlpacaAlgo executed $100 million in real-money trading volume in less than 2 months of live production in last December. Alpaca is a San Mateo-based Fintech AI startup building AI and database technology in financial trading. In March 2016, Alpaca made its debut with AlpacaAlgo, a web SaaS that enables traders to automate trade ideas with deep-learning, now having more than 25,000 user-built trading algorithms. Recently, the company has been featured as one of the leading Fintech AI startups by CBInsights’ “41 Startups Bringing AI To Fintech.” For more information, visit http://www.alpaca.ai.